Entering the Week 9 bye, the Giants players are resting up, still sinking in the two-game winning streak after their putrid six-game losing slump to open up the 2013 NFL Season. Eli Manning was nothing of his usual self, handing out turnovers like christmas presents, while the once daunted defense was sitting back on their reclinable beach chairs, watching the opposition score points at ease. Columnists and reporters across the league officially wrote this team off, and even went as far as (at one point) projecting the Giants to recieve the second overall pick in the 2014 NFL Draft, and projecting the pick of Jadeveon Clowney. 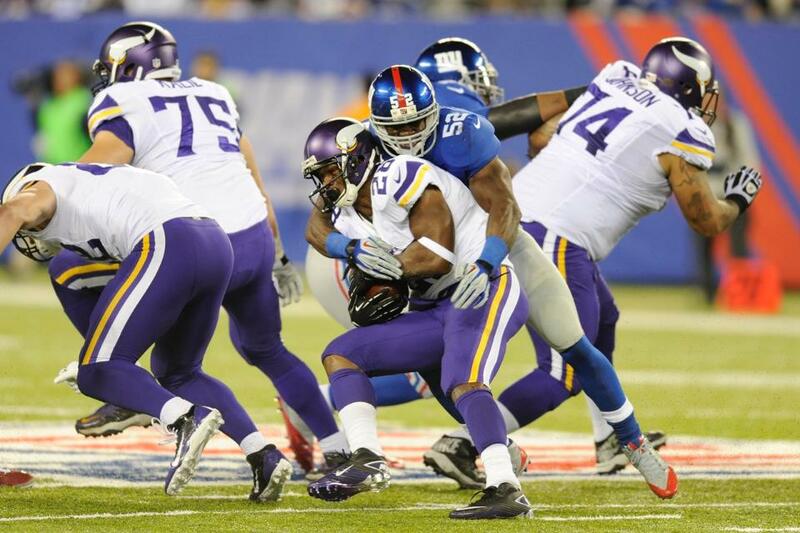 But wins started coming for the Big Blue, beginning against the Minnesota Vikings in Week 7 on Monday Night Football. The defense finally looked like they knew what they were doing, and were playing inspired football, leading the Vikings newly acquired Quarterback Josh Freeman to one of the worst MNF outing’s in NFL history. And the Giants didn’t stop there. On Week 8, the Giants marched into Philadelphia to play the rival Eagles, and held the team scoreless, until long-snapper Zak DeOssie threw a bomb past Steve Weatherford right into the end-zone for Eagles’ Najee Goode to recover for a touchdown. The Giants held off Chip Kelly’s Eagles, 15-7. This Giants team clearly started off on the wrong foot, but the past two weeks have transformed this team into a playoff caliber opponent, only three games out of first place of the NFC East. And it’s not just good fortunes. 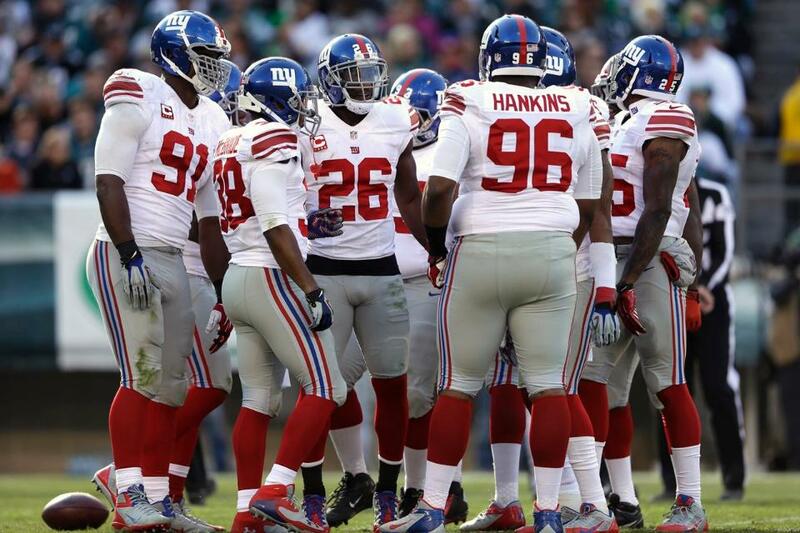 To open up the season through the first 6 weeks for the New York Giants, the defense gave up a resounding 209 points. That’s an average of just under 35 points per game. While the defense was getting blown out of the water, the offense put up a lackluster 103 points, which is an average of a little over 17 points per game. Now that in and of itself is preposterous. Can Coach Tom Coughlin be getting too old, lacking the ability of providing a spark and motivation for his team as he once could? According to Week 7-on, that is not quite the case. With excellent additions to the squad including MLB Jon Beason, FB Jon Conner, and HB’s Brandon Jacobs and Peyton Hillis, the team has generated a new win-now mentality. But it’s not just the new guys supporting the cause for the Giants. The defense has seen its share of injuries, as they seem too every year, and 2nd and 3rd string players came right in and sparked a new fire under the team. These players include CB Trumaine McBride, SS Will Hill, and DE Demontre Moore. And since these Giants finally came to play in Week 7, they have “right the ship”, as they have outscored opponents 38-14, holding offense’s scoreless. Through the woes of the first half of the Giants season, stopping the run has never been an issue for the defense, holding some of the best running backs to severe underachievement. Stopping stars of the likes of Jamaal Charles, LeSean “Shady” McCoy, Matt Forte, and Adrian Peterson, the defense knows how to take a running game out of the equation. The Giants defense is ranked 9th in the league for stopping the run, and that ranking could be lower if the quality of HB was taken into account. So, the Giants problem has to be against the pass, right? Well, technically, yes that is a large concern for the Giants. Injuries to the secondary of the defense has been an issue for the past couple of seasons, and the lack of consistency from the backup’s led the Giants to give up big points fast. But this year’s secondary is different. The players actually look the part of a Super Bowl team, even with the injuries and inexperience. Safety Antrel Rolle is dominating the field with 33 solo tackles, 8 assisted tackles, one sack, and three picks. That is BIG TIME play from a Safety. As a captain of the defense, Rolle is showing his counterparts just how to play aggressive, inspired football. Other notable secondary players include Prince Amukamara (45 combined tackles, 2 forced fumbles, 1 int), Will Hill (25 total tackles, 1 int), Trumaine McBride (25 combined tackles, 2 forced fumbles), and Ryan Mundy (48 combined tackles, 1 fumble recovery, 1 int). The defense has held opposition scoreless the past two weeks, as quarterbacks are struggling to get a rhythm to lead their teams to victory. On MNF, Vikings quarterback Josh Freeman was limited to a completion percentage of just 38%, while throwing a pick and garnering at 6.1 Total Quarterback Rating. The Sunday after, against the NFC East rival Eagles, the Giants played even harder football, intercepting and sacking Michael Vick before knocking him out of the game in the second quarter, handing him over a 2.7 QBR. Then came in rookie quarterback Matt Barkley to help relieve the Eagles of the fierce Giants defense, but to no prevail. Near the end of the first half, CB Terrell Thomas had a huge strip on Barkley that gave the Giants the ball to finish the 2nd Quarter. The rookie quarterback ended the game with one pick and a QBR of just 18.6. It’s not just the defense that is keeping the Giants in the playoff hunt. The past two weeks, Quarterback Eli Manning is turnover free, leading the offense down the field play after play, getting his receivers in the game and keeping the opposing defense’s on their feet. Newly acquired runningback’s Brandon Jacobs and Peyton Hillis are providing the offense some consistency at their respective position, while helping keep Manning up-right, which was a huge issue of the first 6 weeks of the season. 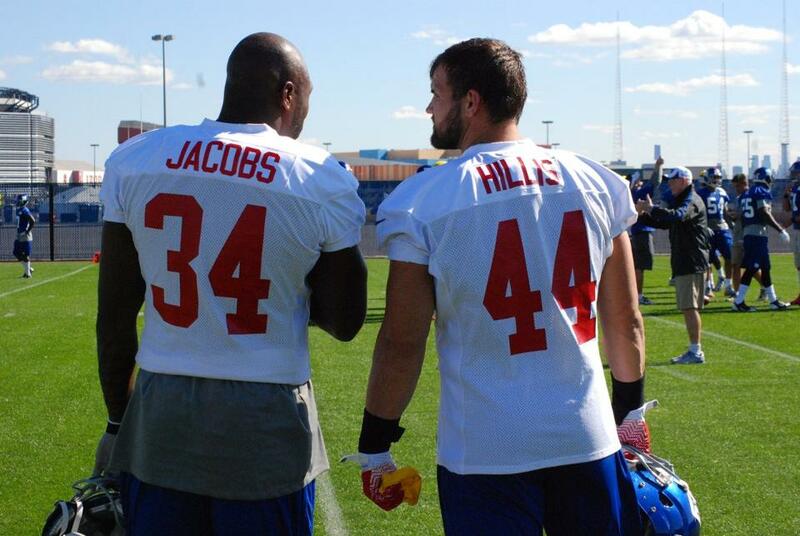 Though Jacobs has been dealing with a hamstring injury the past two weeks, Hillis has gladly taken advantage of the opportunity to put the offense “on his back.” He is a ground and pound guy, who is also a wonderful receiver out of the backfield to give Eli a security blanket. Star receivers Victor Cruz and Hakeem Nicks are finally clicking with the two-time Super Bowl MVP, as protection is improving on the offensive line. Josh Brown is looking more and more like a kicker that can hit a clutch field goal to close a game, similar to Adam Vinatieri of the New England Patriots team’s in the early 2000’s. Everything on offense is improving drastically since the first 6 weeks of the season, and the return of HB Andre Brown will keep defense’s even more honest as another powerhouse HB is due to return for the Oakland-NYG game in Week 10. The only part of the team to worry about heading into the second half of the NFL season is the special teams. Opponents are having no trouble bringing back punts and kickoffs to the house against the Giants, and that needs to change if this team wants to make a huge run to the playoffs. Fans everywhere know that Rueben Randle is not the answer at punt returner, and that job may be given to David Wilson once he returns from a neck injury. Big plays need to be made from the special teams unit if the team has its eyes set on a February game in New Jersey. So the Giants are 2-6, what now? Well, Giants fans, this team must continue its success on defense, stopping the run and keeping opposing quarterbacks from getting the long ball and short dink-n’-dunks against the secondary like it has the past two weeks. Inspired play must continue from every position on the defense to hold offense’s short, each and every set of downs. The Giants offense must continue to run the ball effectively, to keep defense’s honest and to open up the field to the passing game. Eli Manning must not be taken to the ground every pass play by the defense, and receivers must limit dropped passes. By all means, the players that can win it all are certainly on this roster. Every position on the field (with the exception of the offensive line) are some of the best in football right now, and watching this team play the past two weeks speaks volumes to the job done by GM Jerry Reese and HC Tom Coughlin. The Giants finally look like they want to play football again, and the leaders of both sides of the ball are motivating the team to go hard each and every snap. 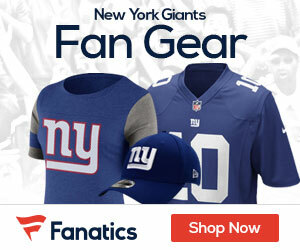 Look out NFC, the Giants are back, and they aren’t stopping until they hoist another Vince Lombardi trophy in their home stadium in 2014.